1. The ZEOvit® always has to be clean. To clean the material, push and pull the rod of the filter daily, which can be done simple, fast and easy within a minute. 2. If possible, the flow direction is from the bottom to the top, so that the material is always in the water. 3. The flow rate in the filter through the ZEOvit® is 400L/h per L ZEOvit® maximum! 4. 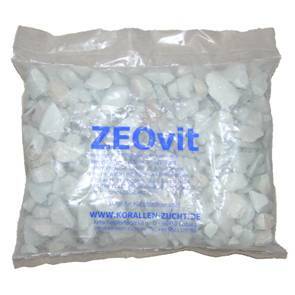 Dosing of the ZEOvit®: take 1 L ZEOvit® for 400L water. 5. Exchange the ZEOvit® after 6-8 weeks.